I was wondering if you could do a post on managing your time between grad school, exercise and creating healthy meals. I commute to college a total of 2 hours a day, 5 days a week for 4-8 hour days. I have trouble juggling course work, exercising, working part-time and creating healthy lunches and dinners. I always have plans to go to the gym early before leaving at 7 to go to school but feel that if I am tired I should get rest, or if I have time in the afternoon I feel guilty if I am not studying. It stresses me out!! I was just curious as to how you manage your time. Great question — one that I’m sure many of you can relate to! Often when people get busy, exercise and good nutrition are the first things that go out the window. But we have to remember that healthy living is JUST as important as work or school. I mean, it’s your health, right? Plus, keeping up an exercise and healthy eating regimen will majorly help with stress. 1. Write exercise into your planner/calendar. At the beginning of the week, I’ll look at my calendar, figure out where I can fit in exercise, and write it in (in ink!). The more specific, the better — for example, don’t just write “work out,” but something like “40 minute run” or “yoga — 1 hour.” Be sure to write it in a specific time slot, too, not just on that day in general. Treat exercise like any other concrete appointment that you can’t skip — this will really help to make sure you don’t blow it off! 2. Make big batches of meals and snacks at the beginning of the week so you have healthy food on hand for quick lunches and dinners. 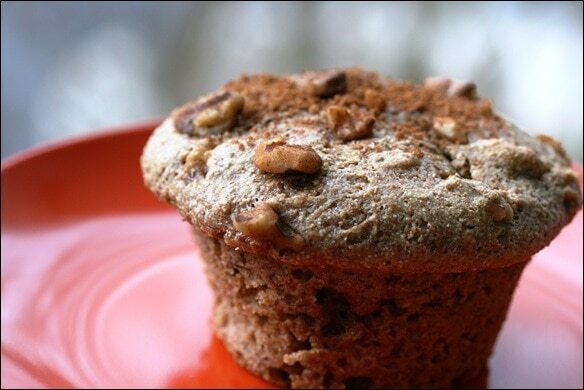 For example, two of my recent recipes — Turkey, Veggie, & Barley Chili and Apple Walnut Crunch Spelt Muffins. 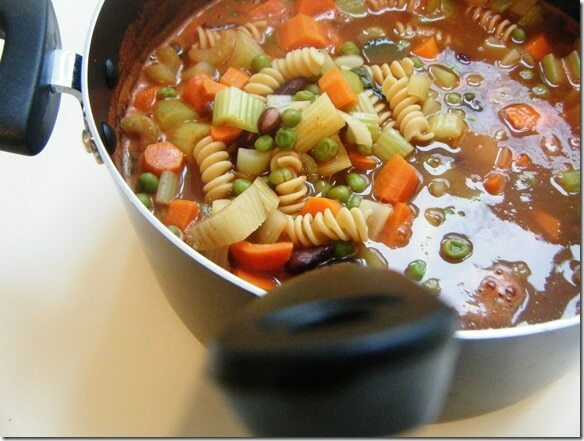 More ideas — my 5 Minute No Bake PB Granola Bars and Veggie-tastic Minestrone Soup! 5. If working out first thing isn’t possible (either because you really can’t do mornings or because you were up too late the night before — sleep is important! 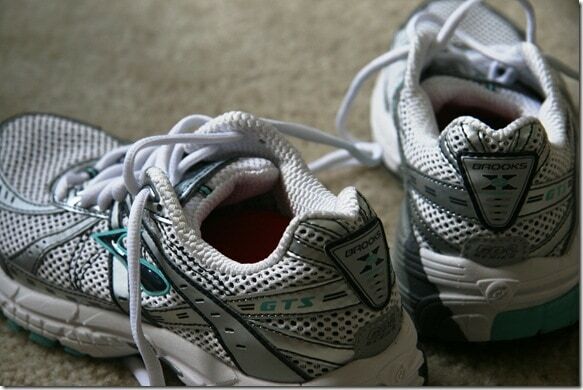 ), then pack workout clothes and exercise immediately following work or school. I know that if I come home first, I likely won’t make it back out — so I don’t even tempt myself! 6. 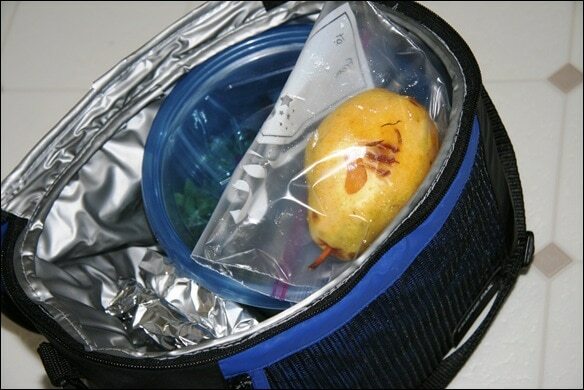 Learn how to pack a fresh, healthy lunch in 5 minutes flat. 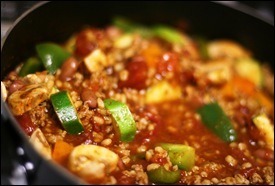 See all of my different 5 minute packable lunch posts on my recipe page! 7. 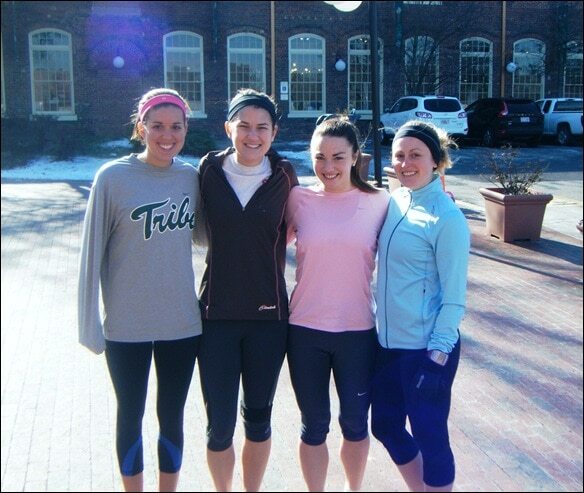 Make a workout buddy, or attend workout classes at a gym and make friends in the class. Anything to help keep you accountable! You’re much less likely to blow off a workout if you know someone is expecting to see you. I love having workout buddies, because then when my alarm goes off at 5:30 a.m., I know I have no choice but to get up because they’re waiting for me! Of course I’m going to agree most with your tips on using your PLANNER!!!!! If you see it in print it’s the best reminder. Also – I know that I get sluggish and feel more fatigued when my fitness takes a back seat. 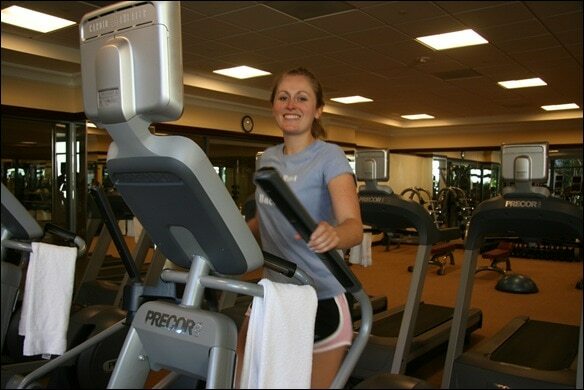 Think of it as giving yourself MORE energy for studying when you commit to getting some exercise in on a regular basis. Great suggestions! I would go so far as to say that eating healthy and exercising are even MORE important when you have so many demands placed upon you. As a family doctor and mother of 3 who completed a masters program while working full time and raising my small children, I know just what you’re up against, Kate! Over the years, I have continuously adapted my workout routine to accommodate my schedule demands. When my kids were young, I worked out in my basement to exercise videos since I couldn’t get to a gym in case they woke up. They often did wake up and joined me in the basement doing leg lifts right along side me. It’s so true! With some planning, you can make better choices! I love your planner idea of writing in ink. It is 9:20 am and I have already been to my Kbell class and am leaving in 10 minutes to go to my zumba class. At noon everyday I meet up at my church with 8 other ladies for a one hour brisk walk. I am a morning person. The rest of the day is mine (whoopee) to do housework and prepare dinner for the family, etc.etc.etc. Action forcing mechanisms are the best, Anne — committing to a schedule with a workout partner, as you noted, committing to races, setting hard and fast goals, and leaving no wriggle room for yourself. Again, you clearly recognize that, and I agree! I used a workout buddy and we would always workout on our lunch break together. Knowing that I had exactly an hour and a half (I’d get to work a half an hour early so I could take an extra 30 minutes at lunch) to get to the gym, get in a good workout, cleanup, and make it back to the office made sure that I was purposeful in my workouts. Once it became a routine, I honestly started to look forward to the brain break at noon! Workout buddies & planning ahead are key! I also keep in mind if I want to go to any group fitness classes like yoga or spinning, and schedule meals & stuff around those. Planning ahead is crucial – I also like signing up for a race or something to keep me motivated. I also try to pack as much of my lunches/dinners/breakfasts on the weekend – tiny containers of granola, cut up carrots, etc so I just have to grab and go during the week. I totally agree with your tips. I try to do these things too! Great tips! If I know that I have a busy day ahead of me, I wake up a little earlier to get my workout out of the way first thing. And I always pack a healthy lunch and snack the night before (sometimes as I am making dinner). great tips! I use many of these myself and found they really do keep me on track. 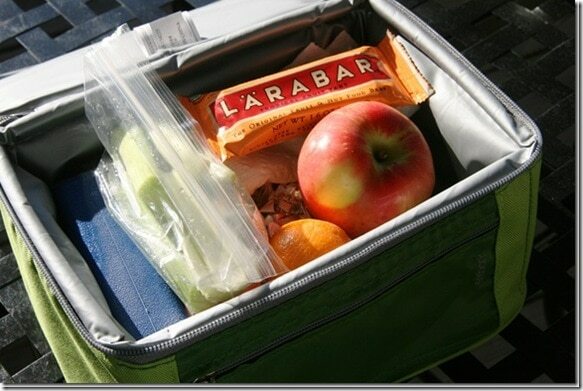 I think packing your lunch and sticking to what you pack is a key way to stay on track. All great comments! I especially like 7. Fitness classes are on a schedule so I know at this time I have to work out! And they usually push me harder than I would myself! I would also say on Sunday afternoons to grill a bunch of chicken breasts or something equal to that for easy go-to protein lunches through out the week. You can even put a few casseroles or crock pot meals together so all you have to do is plug it in/pop it in the oven! Great tips! One thing I do is IMMEDIATELY when I get home from work, I prep my breakfast, lunch and snack for the next day, then I pick out my outfit and lay out my workout clothes. Only after doing those things can I truly feel relaxed – put on my PJS and enjoy dinner and some down time. And it saves TONS of time in the morning! I workout first thing in the a.m. so nothing gets in the way. I also pack my lunch-which saves money and is much healthier than buying meals out! I take a water bottle with me wherever I go. I also go to bed early so I can get up early and workout:) I also make sure I have an apple on me at all times. 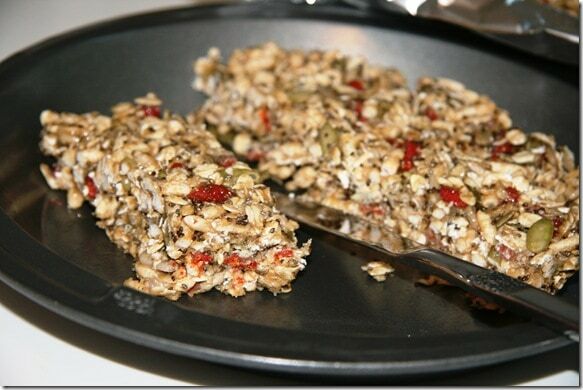 A great snack that is easy to eat on the go! This post is rad! And so true! If I don’t have workout clothes ready for me after work, the chances of me sitting on the couch and zoning out when I get home from work increase dramatically. After my first semester of grad school + full-time work + teaching fitness classes + being a newlywed, I had to re-prioritize things. I was putting exercise and eating healthy absolutely first and wound up getting flustered quickly and short-tempered because I forgot about some KEY components to wellness: SLEEP and PERSONAL TIME. Rather than “getting by” on just 6 hours of sleep (totally doesn’t work for me), I decided to put a good 8 hours of rest at the top of my priorities list. And it has changed EVERYTHING. I have more energy to work out, think clearer, and am able to focus in my courses. Totally agree! Sleep is #1 for me as well – anything less than 7 hours and I’m a disaster. And flexibility is also key. If I have a run scheduled but I’m exhausted, I’ll listen to my body and just take the day off or do yoga or something instead. No point in running yourself into the ground! Getting a workout in early is KEY for me. There’s nothing worse than having it looming all day, and I never actually go if I put it off till the afternoon!! I just make sure to get to sleep early, because without 7-8 hours I’m a zombie. Awesome tips — I just make it a part of my routine — leave work, head right for the gym. Bringing workout clothes to work with me is key, then I don’t linger at home. Great post, and helpful tips! Great tips! i always write my workouts into my to-do list. Something about writing them down makes it feel more set in stone, which motivates me to make it happen. Plus I remember how important that time is to me. Such great tips Anne. You seem to have achieved such a wonderful balance so thank you for sharing some of your insight. Great post! :D Such great tips! I definitely have to schedule in workout times, but I tell myself that working out is MY time to destress! On a Saturday or Sunday afternoon I batch cook a couple of things and then freeze or fridge portions. These are the basis of most of my lunches and dinners through the week. I cook two big things a week but end up with a variety of things to choose from in the freezer from previous weeks to make sure it stays interesting. In the evening when I put one of the aforementioned in the microwave and put together whatever else is going with it, I multi-task and pack lunch and snacks so its ready to grab from the fridge in the morning. – We should also look into using time more efficiently in other areas of our life, so we can free up time to what really matters for us – for instance, shop for groceries online or buying in bulk so we don’t have to go to the store so often. Thanks for a great question, great post and great comments! i linked to you today :) love this post! I love this post, so helpful! I constantly struggle with time management. These tips are wonderful and realistic. Just like you, I’m a graduate student and our lives are ruled by classes and research. However, when I get up, get a good workout in, and have a healthy breakfast and pack a healthy lunch, I can power through my days and not feel exhausted. Living a healthy lifestyle makes having a busy lifestyle that much easier :) Oh and love smoothies in the mornings because they’re easy to drink while I’m getting ready and you can pack so many nutrients into one glass! When I get to the point where even packing my gym bag in the morning isn’t enough, I actually change in the bathroom at work before leaving for the day so I’m less likely to talk myself into driving home instead of the gym. I always make 4-serving dinners, so my husband and I always have a healthy lunch for the next day, and keep good healthy snacks on hand to throw in our lunch bags too. When things DO get really busy (work/grad school/other committments), I don’t beat myself up and attempt to let only a healthy dinner OR workout slide that day – never both! Great post! I use a lot of these techniques in order to fit my workout in each day! Time management and pre-planning is definitely important! Great advice, Anne! I use several of these in my daily life as a grad student to help keep me on track. I’m not a morning workout person so I always go to the gym on my way home from work, because I know once I get home, I’ll be in my PJs in 2 seconds flat :) I also use my daily calendar to schedule and plan to gym time, because otherwise it would never happen! I try to get a weekly routine and stick to it! Having specific classes I love at my gym helps, I know I have to get there at a specific time. Very good advise! Eating healthy should be a normal routine everyday. We shouldn’t think of it like a chore. You’ve hit a lot of really good points! I’ve used most of them in the past (When I had lost 100+) I gradually, conviently lost use of these tactics and went back up the scales. Mercy! Thanks for the wake up call. I really liked your tip about visualizing how great I’ll feel after my workout (and how bummed I’d feel if I skipped it). Being in grad school is hard enough on its own. Being healthy is just as hard on its own. Combining the two is…well…that’s why I’m google-ing solutions! Thanks for the tips! I know how you feel – good luck! :) The visualizing really does help for me! I try to fit in gym in the morning with my crazy dental school schedule, but when the alarm goes off, all I want to do is sleep. Visualizing how I’ll feel after I work out is a great idea. I also jot down a motivational note before going to sleep, like “you’ll look great at the fall formal”. This is such a great post! When I ask them, the readers of my website (Della Terra Wellness) almost unanimously complain that there aren’t enough hours in the day to maintain a healthy lifestyle. Time management skills can go a long way for stress reduction and overall health. One thing I would add is that it’s more important to do a little bit frequently, than to do a lot less frequently. All too often people set lofty goals for themselves that just aren’t sustainable in their current lifestyle. If you set small goals instead of big ones, they’re much more likely to last. For example, instead of saying that you’ll go to 5 yoga classes a week, even when you’re tired, try to do 10 minutes of yoga every morning. Thanks for writing this great article. I’ll be sure to reference it in the future! Totally agree re the small goals! No point setting yourself up for failure!